Lumbini, Feb. 14, 2019: A journey to preserve India’s composite culture began on February 13 from Lumbini in Nepal, Siddharth Gautam Buddha’s birthplace. 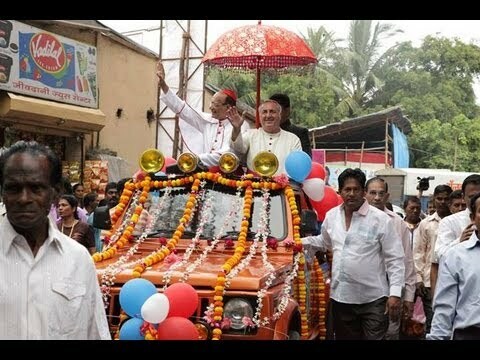 The five-day rally, named “Buddh se Kabir tak” (From Buddha to Kabir), highlights communal harmony and the Indian legacy of love and respect for others. It will culminate at Magahar in Uttar Pradesh, India’s most populous state and some 145 km south of Lumbini, where Kabir Das, the great poet of “composite culture” died. Around 300 people, who are committed to secularism and peace, have joined the rally which will conclude with a cultural evening on Feb 17 at Gorakhpur University, northeastern region of Uttar Pradesh. Throughout the journey, the “Prerna Manch” (Forum for inspiration) the theater wing of Vishwa Jyoti Communications in Varanasi, is performing stage dramas and street plays on communal harmony and love and respect for neighbors. The team will also sing songs on unity, peace and love and thus lead the peace rally. Gautama Buddha is a symbol of peace, compassion and non-violence and Kabir stands for composite culture, Father Anand Mathew, director of Vishwa Jyoti Communications, one of the rally organizers, told Matters India. The peace rally is conceived and led by Vinod Mall, the present Director General of Police of Gujarat, who is committed to peace, composite culture and non-violence. Father Mathew, a member of the Indian Missionaries of Society who collaborates with Mall in the peace rally, says he considers it his Christian duty to spread the message of peace and love. Vishwa Jyoti Communications has been carrying out similar peace rallies from 2005 when it led a six-month long peace rally through 45 districts of Uttar Pradesh with the message of peace, love of neighbour, respect for people of all faiths, cultures and genders.